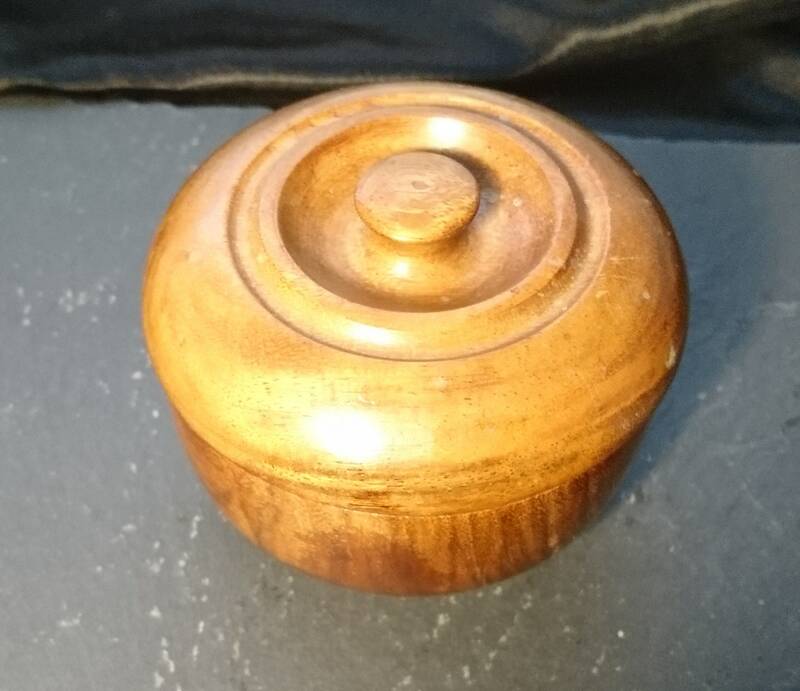 A lovely little vintage turned wooden trinket pot or box. 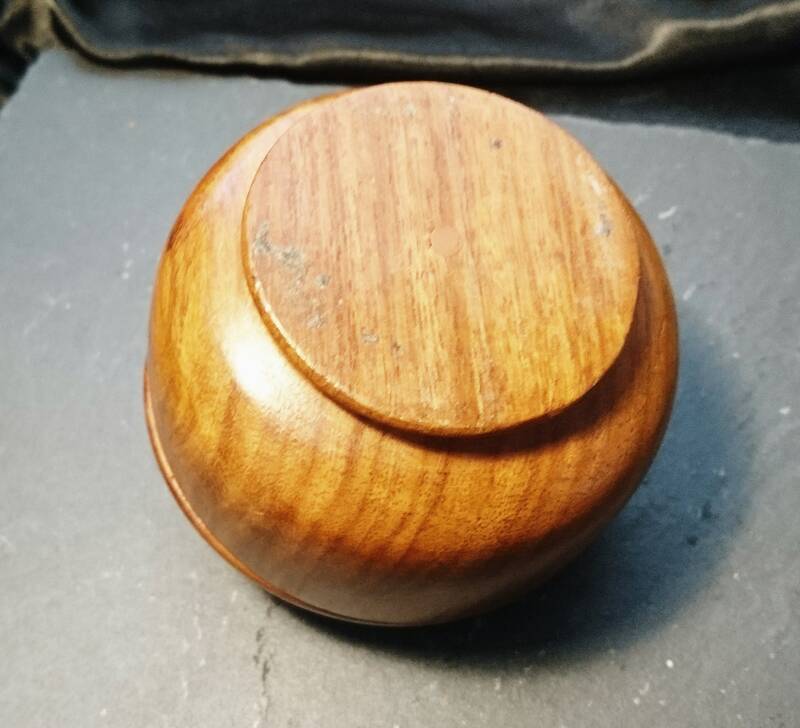 It has the most lovely grain to it and is in very good vintage condition. 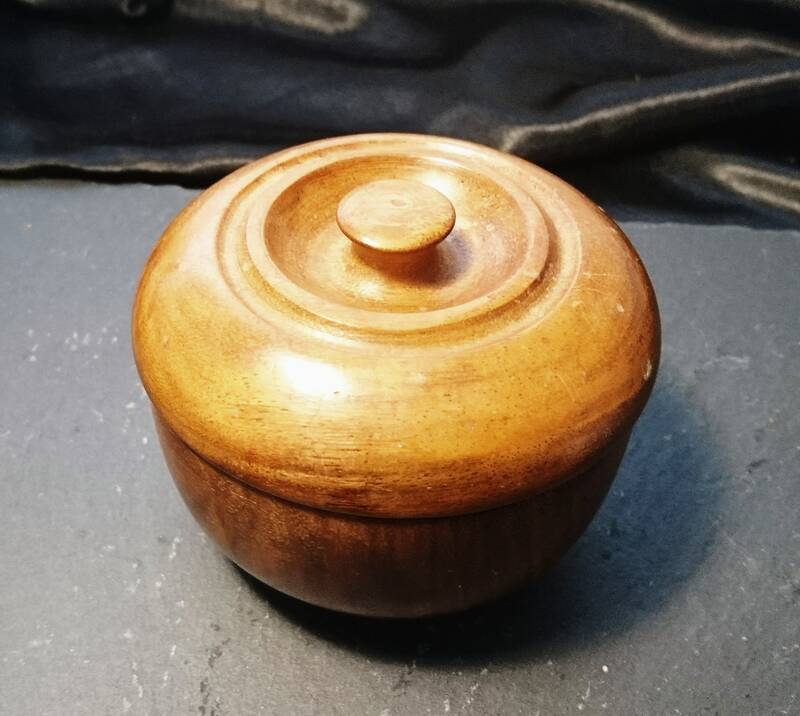 Ideal for storing small jewellery items or tiny keepsakes. 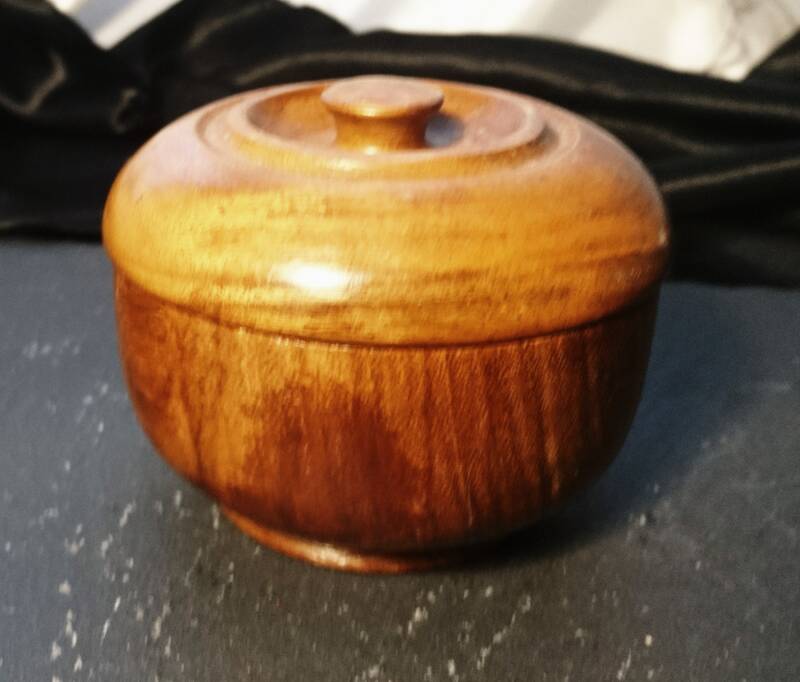 It has a smooth slot on lid that fits nicely. Approx 3" height and 11" circumference.